Vancouver artist Evan Lee’s scanned images of ginseng roots and drawings of elderly Chinese women, and the cultural affinities between them, are the subject of this exhibition organized by guest curator Bill Jeffries. The exhibition consists of three bodies of work; thirty-six photographs of ginseng roots, the video work Manual Labour from 2006, and thirty-six pencil drawings of elderly Chinese women (Old Women, 2008) shopping in Chinatown or gleaning in the lanes of Vancouver. All three bodies of work are portraits – linked by their relation to Asia, to globalism, migrations and the plight of the aged. The images speak to us about biological complexity and fragility, while referencing human migration as well as the globalization of foods and medicines. Lee’s drawings of elderly Chinese women in Vancouver’s lanes are paired with stunning high-resolution scans of anthropomorphic Ginseng roots. The Ginseng Roots Studies were made using an ordinary desktop scanner instead of a camera. Each of the 36 roots in this series were found and purchased at a local supermarket. Evan Lee is known for his experimental photo-based work but also works across a range of media and subjects. Lee’s drawings were drawn from photographs that the artist took of elderly Chinese women walking, working and resting in the streets of east Vancouver. Instead of printing and displaying the original photographs, Lee presents simple pencil drawings as a way of working more closely with the subjects. The opening reception is on Saturday, April 26 from 2:00pm to 4:00pm with an Artist’s tour beginning at 2:30pm. Evan Lee will give a talk on Saturday, May 31, 2-3pm. The exhibition continues until June 15, 2014. The Richmond Art Gallery is delighted to announce that Canadian artist Evan Lee has produced a limited edition archival pigment print to benefit the Gallery. For more information and to purchase a print, click here. Historian Hayne Wai presents a talk on the history of Chinese Canadians in BC, with a focus on the historic and social context for Vancouver’s evolving Chinatown, going back to its origins in the 1880s. 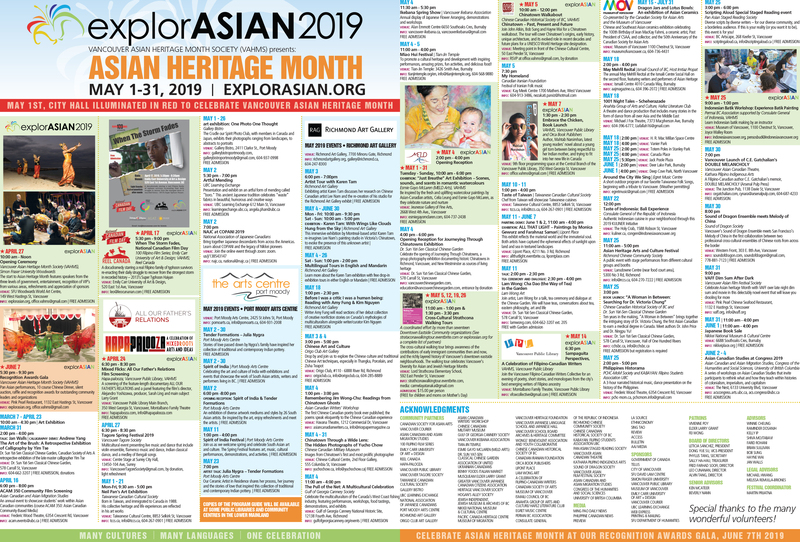 In partnership with the Chinese Canadian Historical Society of BC. Exhibiting artist Evan Lee provides an illustrated talk on his process and artworks. Free admission. Light refreshments provided.